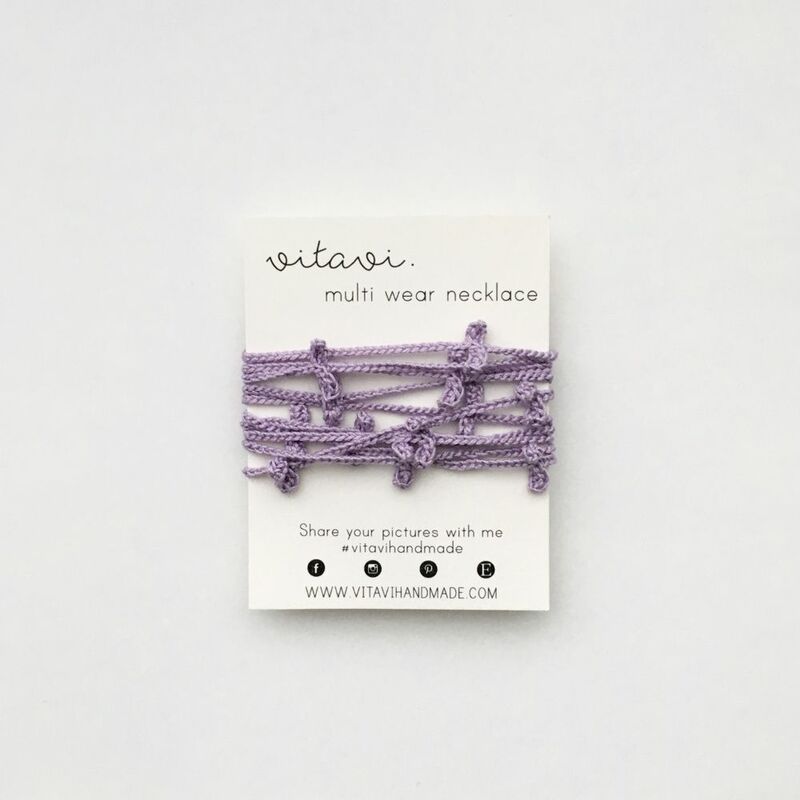 Long crochet necklace with tiny symmetrical leaves of lilac color. 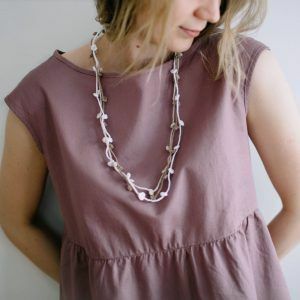 You can wear this necklace in many different ways, also as a bracelet. 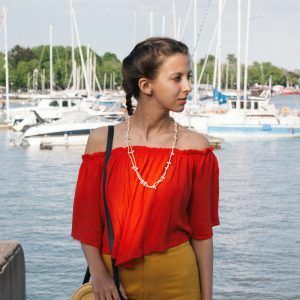 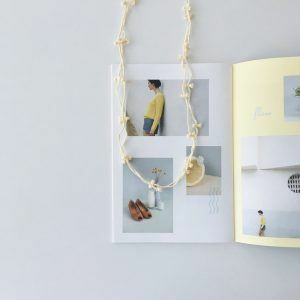 The necklace is very lightweight, handmade from 100% cotton and just perfect for hot summer days. 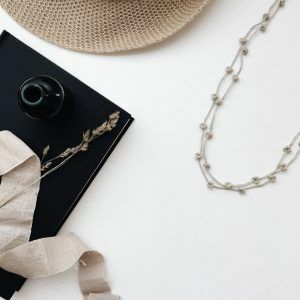 The total length of the necklace is about 27.5 inches (70 cm).